Enviro-logiX™ is the responsible environmental choice! Meets US and Canadian postal standards. 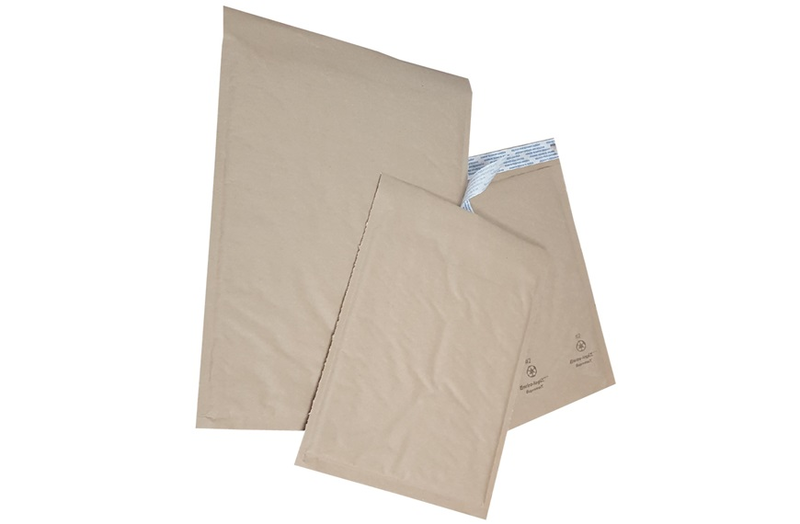 FSC® certified recycled, unbleached, natural kraft outer with 100% post consumer recycled content. 100% reclaimed and EPI degradable polyethylene bubble liner. The 100% EPI degradeable poly liner preserves the environment by reducing landfill usage. The tamper-evident closure protects the content. The heavy duty product reduces the risks of damages during transport. The smooth interior allows easier product insertion and extraction which can increase productivity.